The Sun Triangle destinations of Acapulco, Ixtapa-Zihuatanejo and Taxco are gearing up for the holidays with an array of events for travelers. The biggest event by far will be a concert by Placido Domingo in Acapulco on Dec. 28. He will perform with the Esperanza Azteca Orchestra to raise money for the victims of Tropical Storm Manuel, which hit the destination in September. Through Jan. 5, travelers can also take in myriad holiday events, including the Imperial Mega Fair. 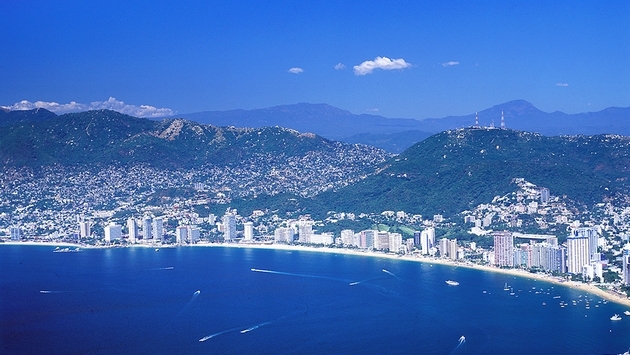 On Christmas day the World Holiday Parade Tour Acapulco will take place in the center of town. On New Year’s Eve, the city’s bay will be lit with 100,000 fireworks and 20,000 balloons, which will be released into the air. In Ixtapa-Zihuatanejo holiday festivities include a fishing tournament on Dec. 29 and fireworks on New Year’s Eve. Many restaurants will be featuring special holiday menus. On Dec. 20, Taxco will try to break the Guinness World record for the largest poinsettia structure with 6,000 poinsettias. The three destinations are located in the state of Guerrero.